Hey there! Do you love dark chocolate? Well, if you do, you are going to want to keep reading. Today, on the blog, I share a delicious dark chocolate with you! Meet The Good Chocolate Squares! The Good Chocolate's Squares might be small, but they are one of my favorite chocolates! The little squares are just enough to satisfy my sweet tooth. My favorite?? The Salted Almond and the Himalayan Salt! The Good Chocolate is the 1st bean-to-bar chocolate that is 100% organic. And, they are made exclusively without sugar! The Squares are sweetened with Mesquite Powder, Stevia and Erythritol. The Good Chocolate uses only the finest and simplest ingredients in their chocolates. These squares really only contain 5-7 ingredients! There are absolutely no yucky ingredients in them! It's amazing! The Good Chocolate makes chocolates that aren't just guilt free and sugar free, they make chocolates that are low in calories, have a low glycemic index, low in carbs AND they are metabolism friendly. Each square is under 50 calories! What's better than chocolate without the guilt? The Squares come in six amazingly unique flavors: Ginger, Dark Milk, Mint, Himalayan Salt, Signature Dark and Salted Almond. The very first time I had a piece of their chocolate I fell in love! It absolutely blows my mind that these are sugar free! The taste these little chocolates have give no indications of being sugar free. They have no yucky "sugar free" aftertaste. I love their convenient size because I can throw a few into my purse and enjoy them on-the-go. The little squares are just enough to satisfy my sweet tooth. I can really tell that each chocolate is made with only the best ingredients. The chocolates are very rich and flavorful. I just love how they melt in my mouth. I love everything about The Good Chocolate's Squares! Order some Squares for yourself! Or, give them as a gift! Muck Soaps All In One Bars Review + Giveaway! Welcome back to A Sampling Bee! I know I haven't been posting much but that is because we are moving! Yup, that right- we're heading back up to New England! Once we get settled, I plan on posting a lot more. Until then, I want to share with you the BEST soaps! Muck Soaps are my new favorite! Different soaps are one of my favorite products to try. I am always buying homemade soaps at different store but, I have not met one that I love as much as I love Muck Soaps! Muck Soaps are all natural. They contain no harsh chemicals. The main ingredients in Muck Soaps are Sunflower Oil, Palm Oil, Coconut Oil, Olive Oil, and Essential Oils. Muck was awesome and sent me a few of their All In One Bars. These bars of soap can be used on your hair, for shaving and for everyday showering. Muck's All In One Bars contain no sulfates, parabens, artificial colors or artificial fragrances. These amazing soaps are also cruelty free and vegan. The All In One bars come in two amazing scents: Ready Set Go & One Two Tea Tree. Ready Set Go ingredients: Organic Coconut Oil, Organic Olive Oil, Sodium Hydroxide, Organic Castor Seed Oil, Organic Sunflower Oil, Organic Jojoba Oil, Organic Rice Bran Oil, Organic Cocoa Butter, Essential Oils (rosemary, lavender) , Organic Aloe Vera Juice, Vitamin E | No Sodium Hydroxide is left in the finished product. One Two Tea Tree ingredients: Organic Coconut Oil, Organic Olive Oil, *Sodium Hydroxide, Organic Castor Seed Oil, Organic Sunflower Oil, Organic Jojoba Oil, Organic Rice Bran Oil, Organic Cocoa Butter, Essential Oils (tea tree, peppermint), Organic Aloe Vera Juice, Vitamin E, Chlorella. I love that each Muck Soap Bar is handcrafted. I also love that each bar is all natural. There is seriously nothing yucky in these soaps and I can tell because they don't leave my skin feeling gross or dry. Muck Soaps leave my skin feeling super soft and nourished. I love the way these two bars smell. Clean with the light scent of essential oils. My skin always smells so good after showering. These All In One Bars are great for travel as well as for camping. Having an all in one soap like these while camping really comes in handy! Especially with kids! I was skeptical about using the All In One Bars on my hair. So I tried it one morning and I was amazed by how well the soap cleansed and conditioned my hair! I also loved using the soap while shaving. I had a nice, sudsy lather on my legs. I noticed that when using the soap as a shaving cream that my razor did not get clogged! I was able to just keep on shaving without having to stop to clean out my razor. Soap bars will last longer when placed on a soap dish and/or kept out of water. All in all, I LOVE Muck's All In One Soap Bars! And, Muck was awesome and sent me some goodies to giveaway! Enter below to win 2 All In One Soap Stacks AND a Loofah! One winner will be chosen and contacted via email. Winner will have 24 hours to claim their prize. US only, please! Hey there! I cannot believe that its already the middle of March! Where does the time go? This month, I became a Chewy.com Influencer and I so excited to bring you my very first product review. One of the items I chose this month was from Wellness. Wellness sells a variety of pet items including cat food. 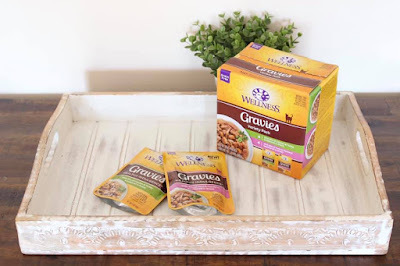 I chose to purchase their Gravies Variety Pack because my two kitties LOVE wet foods that are full of gravy. Chewy.com is my go-to for all of my pet needs. At home, we have two cats, two dogs, 2 rabbits, a hermit crab, fish and 4 chickens! A zoo, I know. But, I wouldn't have it any other way. Chewy.com makes it easy for me to search and purchase all of the pet items that I need. Their website is so easy to navigate and I love that there are so many items to choose from. 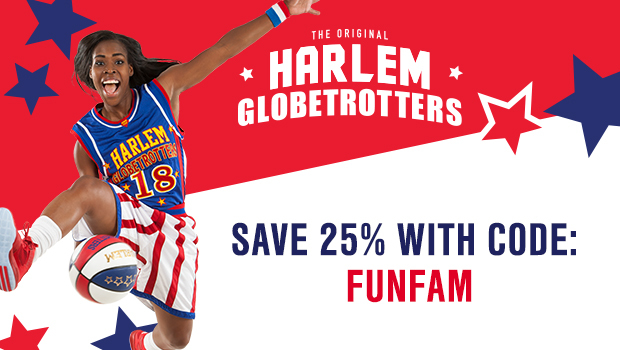 And, they are delivered within two days of purchase (on purchases over $49)! I have noticed that their prices are either the same or lower than their competitors. Wellness is all about feeding our pets the best food possible. Nutrition is the key ingredient to happy, healthy pets and Wellness gets that. Their recipes are thoughtfully crafted and prepared. We all do everything we can for our furry friends and thanks to Wellness, our pets will not be eating junky, cheap foods. Wellness offers both cat and dog foods. Learn more about Wellness HERE. Bits of Chicken & Turkey Smothered in Gravy. This flavor is loaded with all natural pieces of chicken, turkey, chicken liver and carrots. This yummy flavor also contains eggs, blueberries, cranberries, chicken broth and nutrients such as Vitamin D3 and B12. Bits of Tuna & Mackerel Smothered in Gravy. This flavor is loaded with chunks or chicken, mackerel, tuna and chicken liver. This flavor also contains eggs, chicken broth, cranberries, blueberries and vitamins and nutrients. My kitties seemed to really love both of these flavors. But, they did seem to love the Chicken & Turkey flavor better. I really love that the food is all natural and that they do not contain any meat by products, artificial flavors, grains or carrageenan. Miss Molly pictured below LOVES wet food with lots of gravy. So, she really enjoyed licking all of the gravy off and them she nibbled on the soft chunks of food. After eating Wellness Gravies for about two weeks now, I have noticed softer fur and my kitties seem to have a lot more energy. I will be keeping Wellness Gravies stocked in my pantry for my two furry kitty friends! This was my very first time ordering from Chewy.com. I got my shipment within 2 days! It's nice to know that I can have everything my pets need, delivered right to my door! It was one of the best online shopping experiences I've ever had. Thanks, Chewy.com! Order Wellness Gravies from Chewy.com HERE! *I received this item free of charge fromChewy.com in exchange for my honest review. Hey there! I am sharing with you today the Chocolate Dreams Sleek Treat Box! This amazing snack subscription box is loaded with yummy low carb, low/no sugar goodies! This month contains a lot of chocolate products and I am not complaining! I love chocolate! Sleek Treat sends a great variety of snacks each month. There is at least 6-8 snacks in the box each month. See what was inside the Chocolate Dreams box below! Coco Polo 70% Dark Chocolate Bars are vegan, gluten free, and sugar free. I really liked this chocolate bar. First of all, this bar is big enough to share. Second, it reminds me of a Hershey's Crackle candy bar, but 100% better for me. This was my first time having a chocolate bar that had quinoa in it and I am impressed! The Kiss My Keto Chocolate Coconut Ketogenic Bar was very flavorful. I really enjoyed the coconut flavor that this bar had. The chocolate coating was rich and delicious! This bar is not only great for a snack, but it good as a breakfast bar, too! Tru Chocolate Dark Chocolate Covered Almonds are super good! I did notice though that the almonds were kinda soft. The chocolate coating was very good. But, all in all, a delicious chocolate and nut snack! Chocolate covered almonds are usually my go-to. The Tru Chocolate Solid Dark Chocolate Bites I was not crazy about. This dark chocolate just did not taste good to me. I did however like the size of these chocolates. Intakt Snacks Crunchy Cheese Lovers Original is one of my favorite cheese snacks! I love these little nibbles of cheesiness! They're super crunchy and made with the best tasting cheese! Intakt Snacks has several flavors but this one is by far my favorite. Project 7 Cotton Candy Gourmet Gum was really good! You'd never be able to tell that this gum is sugar free. My kids of course loved the cotton candy flavor. I really enjoyed this gum, too. Chewing on a piece reminded me of a big, fat cotton candy from the fair! Dr. John's Candies Sunkissed Fruits Tooth Lollipops were another kid favorite. My sons devoured these lollipops. I only got to try a lick! I love that they are in the shape of a tooth! How cute is that! SkinnyMe Chocolate Truffles are really good. This box contained a mystery flavor. My box contained the Velvety Mocha Dark Chocolate flavor. Oh my goodness, these truffles are SO good! A creamy, flavorful truffle without the guilt! Every box comes with a cute information sheet. Sleek Treat really hit a home run with their Chocolate Dreams box. I love getting Sleek Treats boxes! They're always loaded with the best snacks. Especially this one! My favorite product in the Chocolate Dreams box is the SkinnyMe Truffle! Subscribe today and start getting low carb, low/no sugar snacks delivered right to your door! Sleek Treat now offers a Mini version of their subscription box! It's only $14.99 a month! When I opened up February's box, I noticed that the goodies were slim so I knew that something was up. I am super sad to see this subscription box go, and I hope that they resume production very soon. My favorites this month were Emmy's Cookies and the Just Add Guacamole Mix. Degusta Box is one of my favorite food subscriptions boxes and I will miss all of the amazing goodies that I have received over the years. Thanks, Degusta Box USA. And, please keep me in mind when production starts up!